What is the purpose of Business Success Magazine? The magazine exists to provide business owners with proven tips, tools and techniques so they can grow themselves AND grow their business. When businesses and their owners are successful, the local economy benefits. Like you, I want the area where I live and work to prosper. Why am I passionate about the magazine? Savvy business owners and key decision makers. Those who are ready to drive their business to the next level of growth, and who are motivated to act. People just like you!The magazine is definitely NOT for time-wasters and those who plod through life expecting success on a plate! An eclectic mix of experts and business owners from across the world. In the coming months, you’ll see contributions from people living in countries such as America, Canada, Chile, France, India, Ireland, Malaysia, New Zealand, Switzerland and, of course, the UK. The magazine is a quarterly publication distributed in October, January, April and July. 500 copies are delivered into the hands of a named business owner or the key decision maker every quarter. Some are sent by Royal Mail, but we also work with a number of key business forums at local networking events and exhibitions. I like to get out and about! Now, nobody ever wakes up hoping to see more marketing messages or adverts than they did the day before! Do you? BUT, if someone has their attention drawn to an offer to help them grow themselves and grow their business, we think they will investigate. That is why we only provide a LIMITED number of marketing and advertising opportunities in each issue.What’s more, we offer you complete exclusivity. In other words, your business will be the only one of its type featured for as long as you appear in the magazine… your competitors will be locked out! What are the benefits of our marketing and advertising packages? We have put together packages for all budgets and requirements and these are designed to help you market yourself as an expert in your industry. For those of you who don’t just want to advertise, but aim to ‘get their name out there’ these packages are for you. We will shout about you and your business in many ways. You will be featured in the magazine, and also on our website, on social media and within our Business Success Network. You’ll have the chance to meet with other businesses and learn new skills in our masterclasses. How much marketing you want is down to you and you can find out more about the packages HERE. All our marketing packages can be paid for upfront OR we offer a monthly payment plan so that you can spread the cost over several months. What are people saying about Business Success Magazine? People are busy, so when someone goes out of their way to share their feedback we take note! 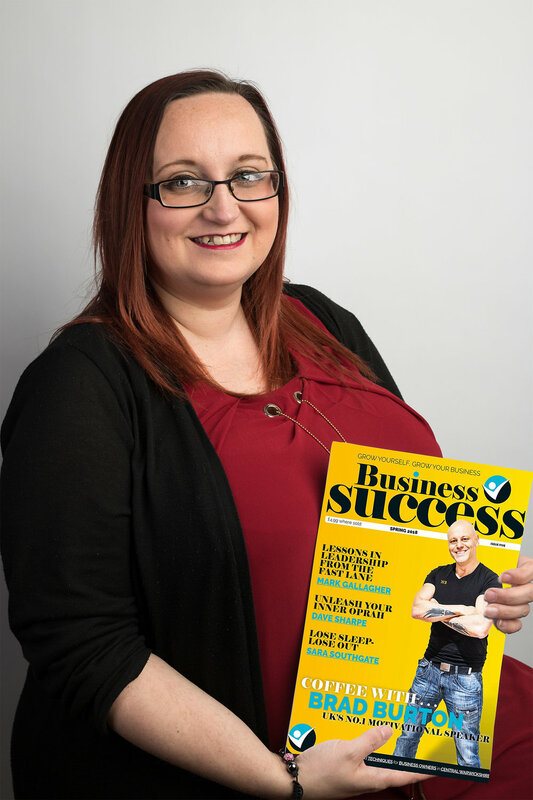 Here are just a few things we’ve been told about Business Success Magazine. “In short – I love it – and would like to continue receiving a copy.” Justine W.
“Fantastic magazine, please add me to your mailing list.” Malcolm F.
“Interesting read. Keep up the good work!” Peter E.
“I received the May issue at the Athena network group and would like to continue to receive it. It’s a great read!” Sarah G.
Because the tips, tools and techniques featured in the magazine are so useful, our readers keep each copy on file as a resource to keep referring to. This is great news if you and your business are featured in the magazine because your articles or adverts will get seen over and over again. That’s super-powerful marketing! Remember, we only provide a LIMITED number of marketing and advertising opportunities in each issue so book yours NOW before all of the space is allocated and sold out. PLUS, to secure complete exclusivity for your business type and LOCK OUT your competitors you need to act quickly. Once your business type is gone, it’s gone! Call me on 07810 820731 or email hello@staceycalder.co.uk and we can get the ball rolling right away. CONGRATULATIONS! You’ve made a really smart decision to invest in Business Success Magazine. To your success.